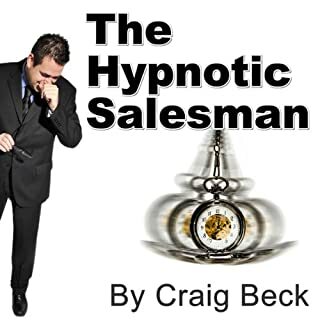 The Hypnotic Salesman is the culmination of over a decade of research into why some people seem to be able to sell anything to anyone and in doing so attract into their lives absolutely anything they desire. 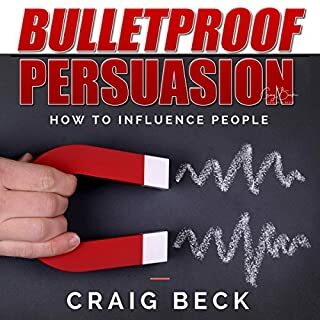 On this short audio course you will learn truly amazing persuasion skills and techniques to get what you want, everyday and with anyone.Learn about the power of emotional trigger words, and how you can make people feel not just listen. I am sure you have heard it said that wealth and abundance have nothing to do with your background, gender, or location. However, this undeniable nugget of wisdom is just the tip of the millionaire's iceberg. The harsh reality is there is a careful balance of wealth and poverty in the world. If you act in one way you will become rich and have everything you desire. Act another way and you will stay among the majority who struggle to cope with never quite having enough. The truth is it doesn't matter who the president is, what the economy is doing, or any other peripheral element that could be used as an excuse. People become millionaires regardless of the external environment. No matter what changes on a political or economic level, the balance of wealth and poverty will remain the same. The 80% majority will remain poor and the 20% elite will get rich and keep getting richer. The question is, which group do you want to be a member of? 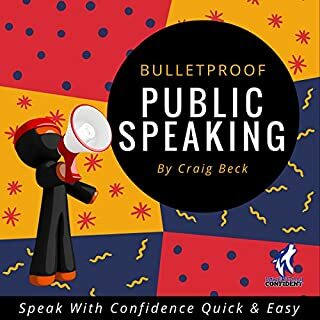 People in the 80% will never buy this audiobook, ever! Why? Because they will see this description and immediately decide that it sounds too good to be true. Meanwhile, people in the 20% understand that extreme levels of wealth have nothing to do with life being fair, luck, or even hard work. 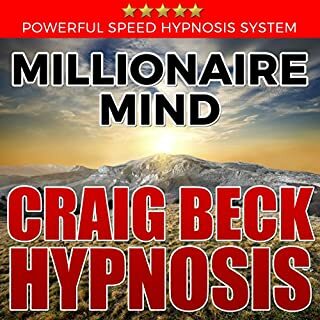 Becoming a millionaire is a question of mindset and religiously following a precise system. The blueprints for a house are direct instruction, not merely building suggestions. If followed to the letter you will get what you aimed for, a house. 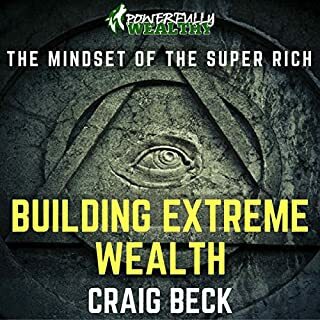 Likewise, this book is a blueprint for extreme wealth and abundance. Over 50,000 people are testament to the results of following the Millionaire University blueprint, and they are all in the 20% of life. 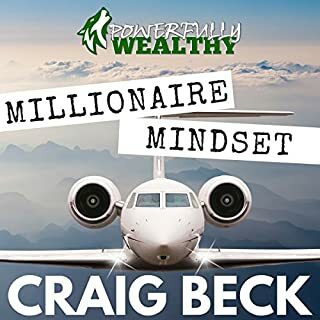 Sorry Craig I love your work I seriously do but this has regurgitated so much content from Millionaire Mindset. Or vice versa. Seems to be a blatant cash grab. I trust you won’t make any excuses. Brilliant like all Craig Beck work! 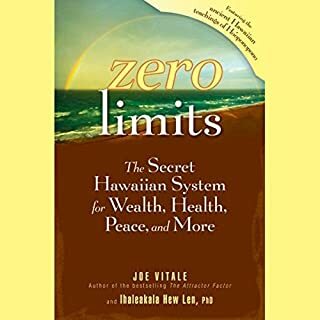 Worth the money I highly recommend this if you want to change any part of your life. 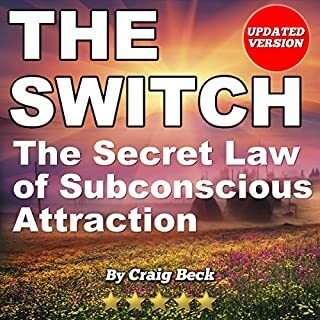 The book was okay but if you've read The Secret or countless other books on the Law of Attraction then you've already read this one. No new concepts. These Law of Attraction books are pretty much all the same. If you've read one you've read them all. I love this book. I was inspired by everything said. This is my new bible. No beating around the bush Craig get's straight to it and gives clear solid advice. His style is unique and If you want to live a more wealth filled life then this is a good starting place. Undoubtedly Brilliant Author, but. . . If you could sum up Millionaire University in three words, what would they be? Phenomenal read and very clear, precise explanations on what to do and how to get where one 'wants' to go moneywise. The anecdotes bring his reasoning to indisputable clarity. STOP LETTING HIS CONTEMPT FOR PRESIDENT TRUMP BLEED THROUGH INTO HIS WORK!!! Craig's utter disdain for Trump couldn't be masked even though he harps on the fact that he isn't even a US Citizen/voter. He makes numerous negative connotations towards President Trump (who's only been in office less than two months with virtually every allegation against him disproven or proven to be false) yet he doesn't utter a word about the travesty of President Obama or Candidate Clinton when there's so much more factual, proven evidence of misdeeds and wrongdoing! It wouldn't be such a big issue had he not come out early in the book and pretend to be neutral towards the US politics when he clearly isn't. I hope his future works refrain from political commentary! It takes away from the remarkable work he creates. If Trump supporters were like anti -Trumper's, he would find himself and his books subject to a bitter, no-holds-barred campaign to ruin him. . .but we're not. i love the content. the last part is a recycled content from his other book though. i still think this is a good investment. Finally, a book that shows real life results. Thank you for sharing all your knowledge. OMG!!! The best book ever!! I absolutely love this book!! I have always been told as a teen to never listen to self help books you have to rely on the word of God etc etc... But now at 40 I'm mad at myself for not going with my gut and giving it a go... I'm never looking back!! I'm so excited THANK YOU MR. BECK!! 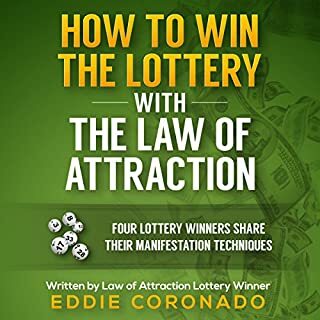 The clearest instruction on the Law of Attraction EVER!. Buy this book, it is incredible, clear concise AND entertaining. Loved it for it's no nonsense style and delivery. A book I wish I read sooner. What made the experience of listening to Millionaire University the most enjoyable? MU. is excellently presented. Craig Beck's background is in radio broadcasting and it shows. 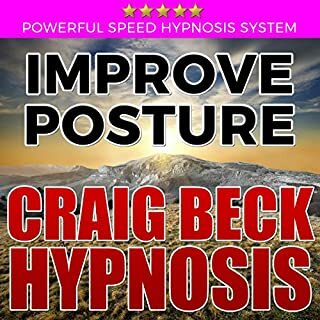 He has a strong, convincing voice whilst being relaxed and genuine in his delivery. The content of the book is very well laid out and the subject is dealt with in a complete and thorough way. Millionaire university is so much more than the title; it is a life philosophy that can change your life if you allow yourself to trust him.I do. 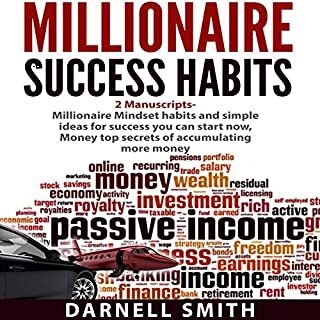 What other book might you compare Millionaire University to, and why? 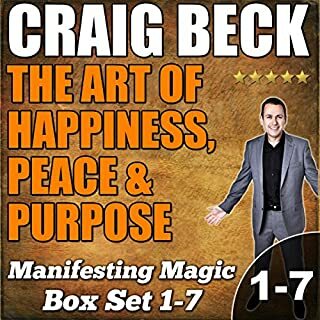 Beck takes his lead from many of the great inspirational leaders of modern and ancient times(Lao Tzu, Tony Robbins, Zig Ziglar, etc) and weaves a cogent and original philosophy on the art of abundance. Boring! Nothing new all repeating from Zig Ziglar. 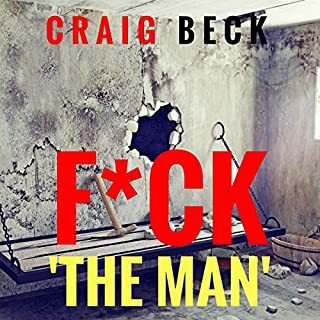 Disappointed with Craig Beck books. All to fill the paper and make book. I was very disappointed in this book. Much of the material was cut and pasted from the author’s other books. Also it consisted of lots of advertising for the author’s online courses that clearly can cost the reader more money. 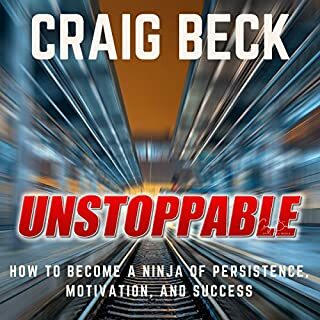 Every Craig Beck book is similar - although in fairness this will be a great book if you haven't listened to any of his other books. I have listened to 5 or 6 of his audiobooks and thus far have returned all of them except for two. 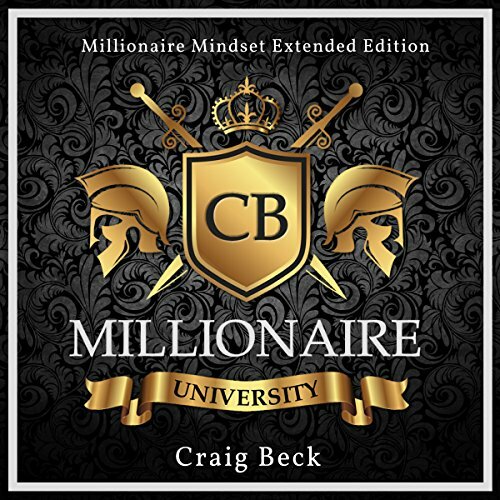 I will listen to this as much as I can, as it's an extended version of "Millionaire Mindset" which I enjoyed -- but will return that as there is no point in having two copies. 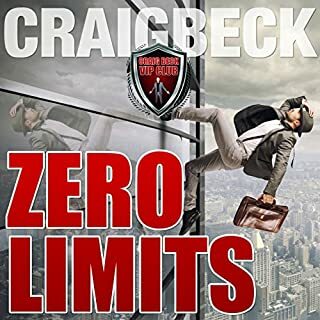 If you're already familiar with Craig Beck you'll know that he's a good narrator and puts his point across well - he has a good voice and is very easy to listen to. However his content is often the same, regurgitated and rearranged for different titles - this is not entirely fair on consumers who think they are getting something original, only to hear a repeat with a different name. I cannot comment on his books about alcohol, addiction or health as these aren't relevant to me. 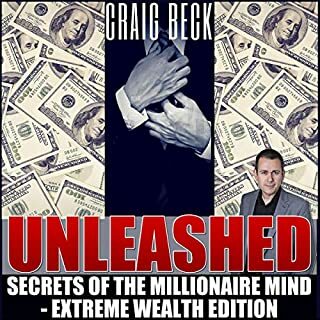 I really enjoy Craig Becks work and he delivers interesting ideas in an entertaining and engaging way. 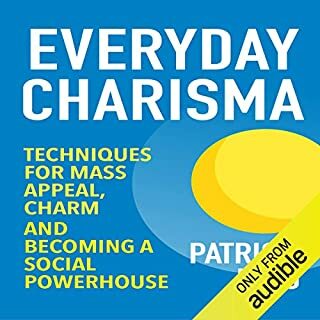 Having already listened to a lot of his other work my one criticism is that he repeats some of the stuff covered in other books. Definitely Hooked, A must read. 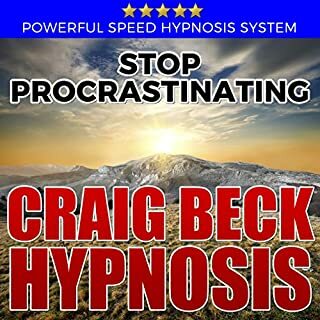 Really enjoying this audio, I'm considering looking into Craig's circle. l know that black void filling. T.You.